The ikan VXF17 is a variable format, portable, rackmount monitor. 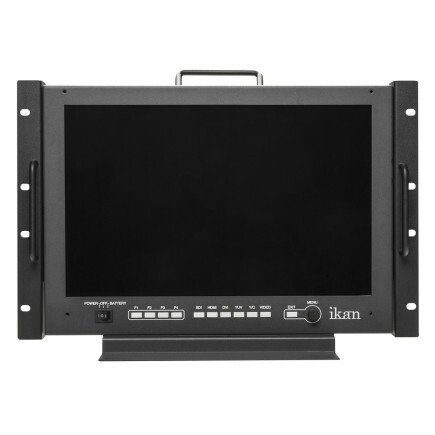 Constructed from heavy duty metal, this monitor is perfect for the rigors of daily field production. The included rack ears also allow it to fit into a studio rackmount environment. The VXF17 is packed with tons of features to make it a versatile and incredibly useful addition to any production. The VXF17 is equipped with a 17 inch Full HD Plus 1920 x 1200 LCD panel. 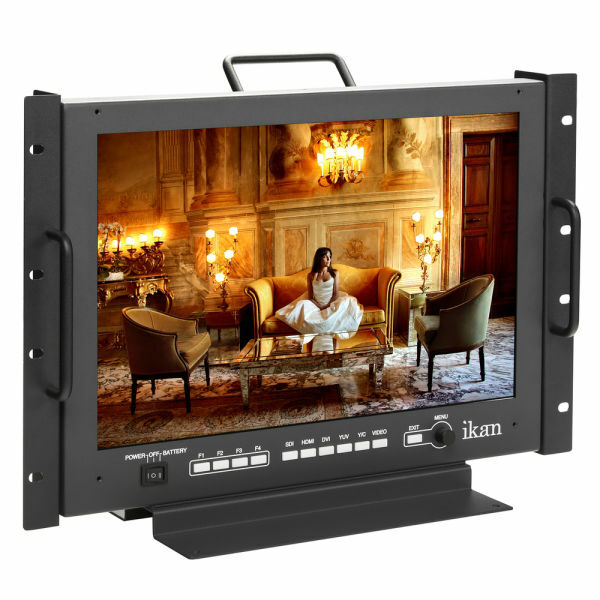 This allows the VXF17 to display beautiful sharp images with excellent color reproduction. Its size is the perfect mix of portability and viewability. The VXF17 is a versatile monitor that gives you plenty of options. 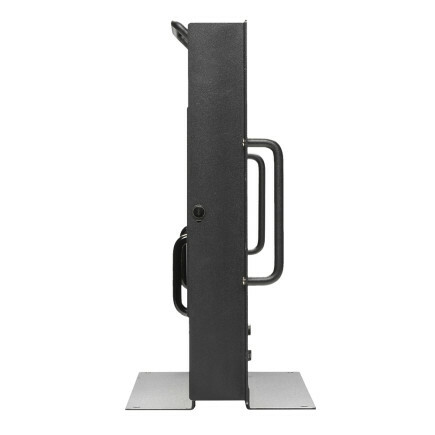 You can use it with the included table stand or mount it into a portable rack or in a studio. 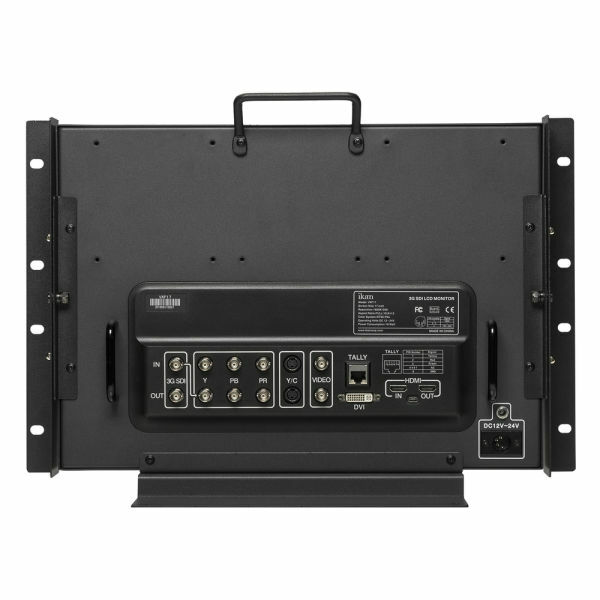 The monitor also includes many inputs and outputs so the VXF17 can handle any signal you are outputting. 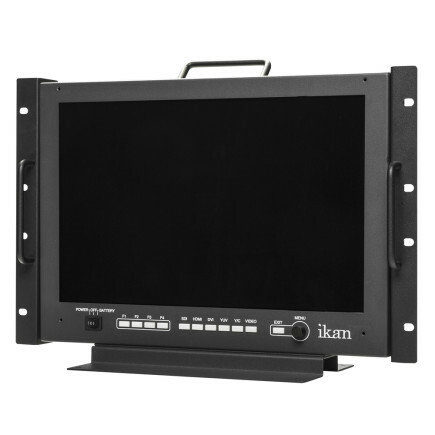 It features 3G-SDI, HDMI, Component, Y/C, Composite and DVI. 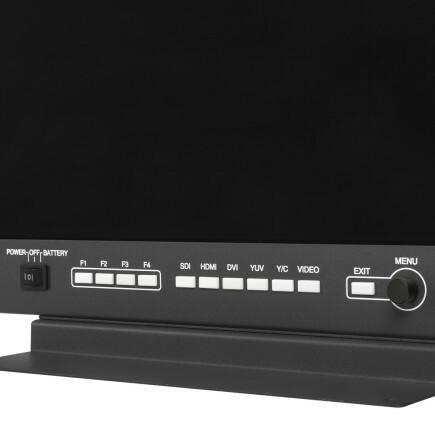 Like all the previous VX series monitors, the VXF17 is designed with the professional in mind. 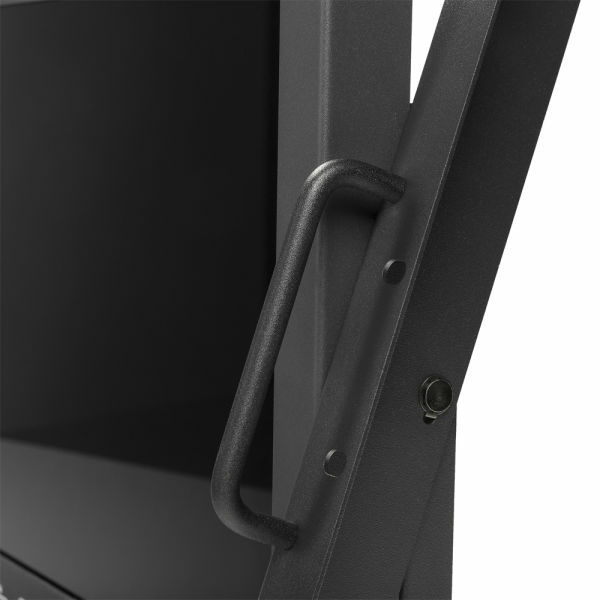 The ergonomics and button layout are designed for ease of use in the field. The rear of the monitor is equipped with professional BNC connectors to ensure your cables stay in place. 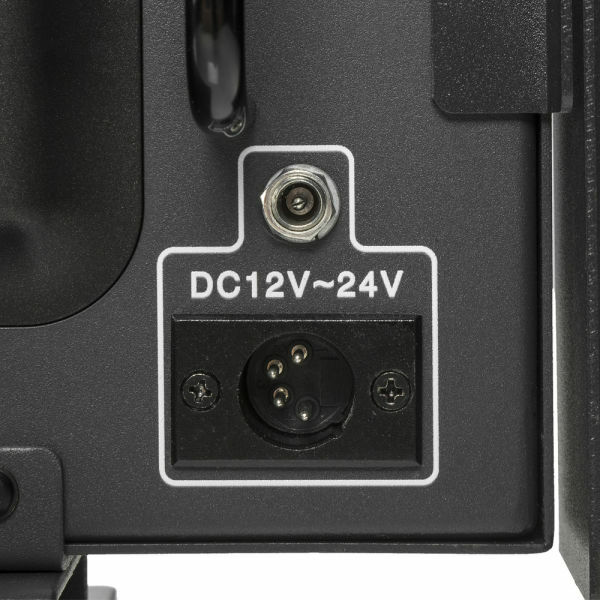 A locking 4-pin XLR power input is also included so you never have to worry about losing power over a loose connection. 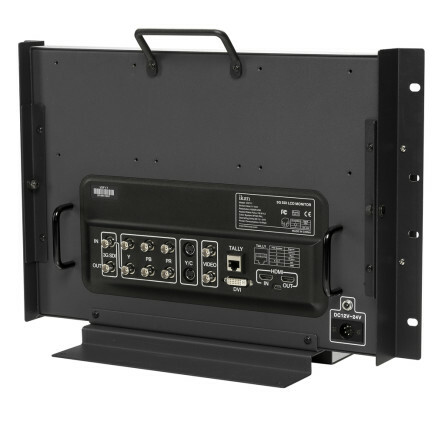 We also designed the VXF17 with 3 VESA mounts on the back for mounting a monitor mount plus two other accessories such as wireless video receivers or our pro battery adapters. The VXF17 comes loaded with software features that will help you get the most out of your footage. Features include false color to get the proper exposure, peaking to achieve sharp focus, and guides to get the right framing. Dimensions: 15.125 x 11.75 x 1.75 in. Shipping Dimensions: 21.5 x 8 x 15.75 in.